Movers don’t expect a tip, but when a mover is given a tip it is appreciated. Most moving companies don’t require or expect a tip, but the workers appreciate that you acknowledged their service and hard work. One of the most asked questions is how much should I tip the movers? Moving is another service that is provided, just like a waitress, hairdresser, lawn service and even a paper boy. We always tip these professionals, so why wouldn’t you tip movers? Moving is a hard job. When you go to dine out, then you tip your waitress. If the waitress forgets your rolls, then she can replace it and we still tip the waitress. Your lunch may have only been $10.00, but imagine your whole life’s possessions. What is that worth to you? There is much more that goes into moving than carrying a couch to a truck. If your move starts in the morning, then have a thermos of coffee and some donuts. You can start your movers day with the coffee and donuts. Have a cooler or cold water, soda and sports drink for your movers. The movers will appreciate being able to get a cold drink. Buying lunch for the movers is also an added plus. You can ask your movers if they would like a pizza or some burgers and most movers would love this gesture. You can also do a percentage of your bill to determine how much you want to tip. Many people always wonder how much is appropriate to tip. You can do 10% on up. 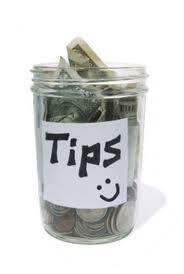 A waitress tip is 15% , if you want to go by that scale, but anything you give is appreciated by a mover. Remember, tipping is an option that you the customer can decide on doing. If your movers are doing an exceptional job, then tipping would be appropriate. It is not expected by the movers or the moving company to tip. 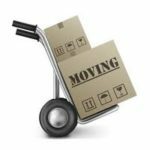 If there are a team of movers doing your move and a couple of movers are standing out with above performance and you would like to tip, then give the movers the tip personally. This shows the movers that you have recognized their hard work and devotion to their job. As much as most movers would love to accept beer for a tip, drinking is prohibited on the job and in the moving truck. When doing your move and you find items you don’t want to take with you to your new place, then you can donate it to the movers. Many movers enjoy items that homeowners no longer want. Here at Master Movers, our movers don’t expect a tip, but do appreciate when you acknowledge them with a tip. This lets us know we are doing our job. Master Movers in Nashville, TN. go that extra step for our customers and this is why we have been rated #1 in Customer Service 10 years in a row. Our goal is to make your moving experience pleasant. If you are planning a move in the future, then let the professionals at Nashville Master Movers handle your move. We go above and beyond for our customers. Our prices are reasonable and our smiles are free. Give us a call at (615) 254-MOVE. There are no hidden charges and truck, mileage are all included. What is your thoughts on tipping movers? How much should one tip a mover and what is appropriate? We would like to hear from you. Leave a comment and tell us what you think.